Visit the webpage for the city of Burlington and you might notice a small button in the top right corner that says "Select Language." The feature allows you to translate the website into more than a hundred languages, from Afrikaans to Zulu. 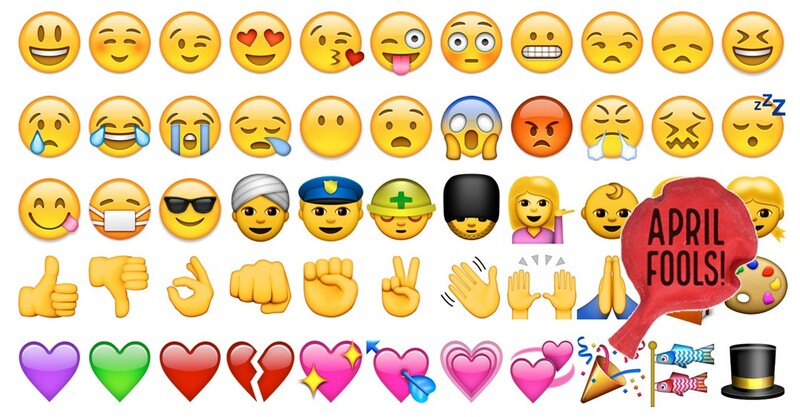 But starting Monday, a new language will be added to that list: emoji. That's right. In an effort to cater to the ever-expanding population of digital natives, the mayor's office has decided to take the plunge into what they call "modern hieroglyphics." For those unfamiliar with emojis, they're small visual icons that symbolize thoughts, feelings or ideas. For example, a thumbs up signifies approval, while a frowny face signifies annoyance or anger. Burlington is the first city in the United States to introduce emoji translation, a point that Mayor Miro Weinberger proudly touted in a press release yesterday afternoon. "We've always been a socially liberal city," he said. "This is just one more way to make sure everyone has access to the same information." The decision came about after the mayor's office received a complaint from an unidentified 22-year-old Burlington resident who claimed that the standard English version of the website didn't make sense; it wasn't expressive enough. The new translation will obviously bring many issues with it. For one, emojis aren't actually hieroglyphs, as the mayor's office seems to think. Each symbol can be interpreted in myriad ways, and their meaning often changes when combined with other emojis. For example, the short opening sentence on the city's homepage, "Welcome to Burlington," could be translated in multiple ways. It could read, "😍🇬🇺🌲🌲🌲👍" or "✋🚴⛷🚣🎯👉." The former translates loosely to "Hi, so happy to see you here in our state where there are many evergreens. Good choice." The latter can be interpreted as "Greetings in this place of biking, skiing and water activities. Bull's-eye to you for visiting us." The city will be issuing a survey via Facebook and Instagram in the coming weeks seeking feedback on the new translator. It will, of course, be written entirely in emojis.